​Diet is one of the most important parts of treating your hypothyroidism. Not only can it help you lose weight, diet also plays an important role in reducing symptoms. That means eating the right foods and avoiding the wrong ones can impact how much energy you have, your waistline and help you to feel better. Diet by itself isn't the ONLY thing you need to do to treat your thyroid, but it is a great first place to start. Not only that, but it's something within YOUR control. You can't control what medication you take or what your dose is, but you CAN control what you put in your mouth. Do I need to be eating Certain foods? Will Changing my Diet Help with Weight Loss? Feel better by increasing your energy, mood, etc. One of the main issues that patients bring up with me is their inability to lose weight. By the time most patients see me, they have already tried and failed multiple diets and have been unsuccessful in weight loss. Diet CAN help with weight loss if you have hypothyroidism but it's only a small part of an overall treatment plan. So how do you know if changing your diet will lead to weight loss in YOU? ​Basically the more complex your history is the less likely diet is to help you by itself. It's still VERY important and you should absolutely consider changing your diet if you fall into any of the categories above, but alone it's not likely to have a huge impact on changing your weight if used by itself. So let's jump right into diets that you should be considering if you have Hypothyroidism. Remember that there is no specific "Thyroid Diet" you should be following. Instead, you should be looking at YOUR body and what YOU need. Everyone is unique which means that they will react to certain foods that others won't, they are more likely to develop hormone imbalances, etc. ​It can seem overwhelming, but I've broken it down to a simple approach to get you started. Below I listed several types of diets that MAY help you feel better and lose weight, but it will require trial and error on your part to figure out what you need. The low carb diet is exactly how it sounds - reduce the total amount of carbs you eat to help your body burn fat and lose weight (3). The basis for the diet is that reducing carbs will help lower your blood sugar and help your body burn fat, thus resulting in weight loss. This diet was previously demonized by the media and medical establishments because it was felt that the saturated fat in these foods was dangerous to your heart. That has since been shown NOT to be true (4) so don't freak out about eating higher fat foods thinking it will cause weight gain or damage your heart. Instead, focus on the MANY studies that have shown a low carb diet can actually help with weight loss (5). ​Should hypothyroid patients go on a low carb diet? 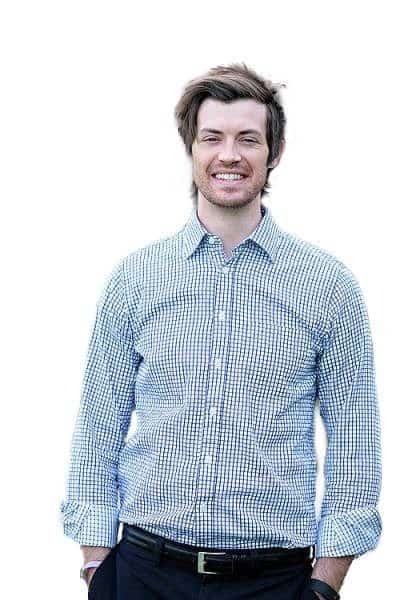 ​The general idea is that not everyone does well or loses weight on a low carb diet. Special considerations should be taken if you have significant and heavy fatigue related to adrenal function or other conditions. In these situations, a low carb diet can actually make your symptoms worse. In addition to feeling worse, some patients can actually gain WEIGHT on a low carb diet. ​If you fall into any of these categories then a trial of a low carb diet might be worth it. 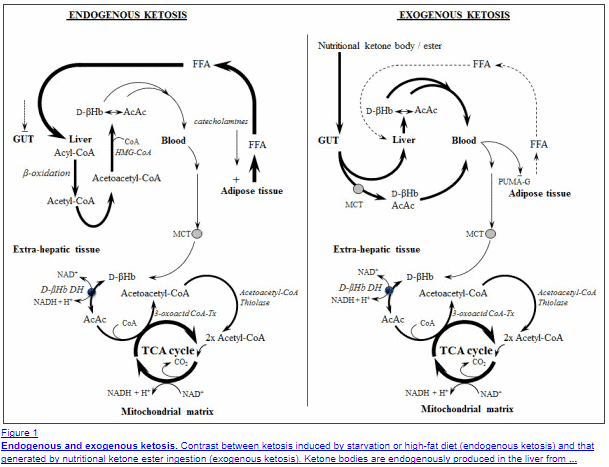 Nutritional ketosis (6) is like the low carb diet but on steroids. In this diet, you remove almost ALL sources of carbohydrates (including even low glycemic fruits and vegetables) to put your body into a state of ketosis. ​Ketone bodies are a breakdown product of fat metabolism so the idea is that while in a state of ketosis your body is burning mostly fat as your primary source of energy. ​You can use certain markers in the blood and urine to make sure these ketone bodies are present and that your carbs are low enough to allow your body to enter into this "state". ​Nutritional ketosis should be differentiated from Diabetic ketoacidosis which is definitely NOT a healthy state to be in. These are two entirely different beasts, so please don't confuse them. Nutritional ketosis has been shown to help with weight loss (7), lower triglycerides, lower LDL cholesterol and raise HDL cholesterol. ​Should hypothyroid patients go into Nutritional Ketosis? Unfortunately, nutritional ketosis isn't for everyone. 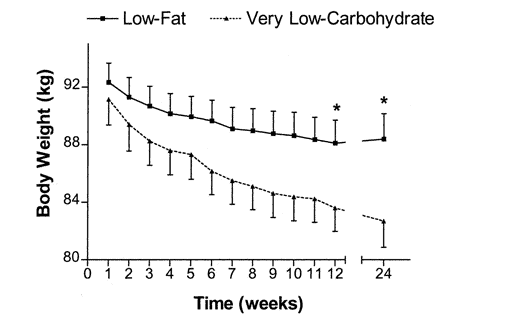 And as you might guess hypothyroid patients may not tolerate nutritional ketosis for the same reasons they don't always tolerate low carb diets. So before you jump head first into this diet I generally recommend you try a lower carb diet first to make sure that your body is able to tolerate a lower amount of carbs before you almost always take them away. Have you failed losing weight with other diets? Do you have gas bloating, SIBO or yeast overgrowth? Do you suffer from Insulin resistance or Diabetes? Do you suffer from conditions like depression, anxiety or other mental health issues? ​If you answered YES to any of the above questions then nutritional ketosis would be worth considering. By now I'm sure you know what the paleo diet (8) is so I won't focus on that. Yes, it helps with weight loss (9). Yes, it can help with autoimmune diseases. ​Yes, it can help patients feel better. ​Should hypothyroid patients use the Paleo Diet? As I've tested diets on hundreds of patients I've found that using a paleo type of diet is probably one of the better and easier places to start. That doesn't mean it will solve all of your problems or fix your weight, but because there are SO many resources online (including recipes and guides), it's relatively easy to get started with. Not only that but it can be tweaked and fixed to match your body type. You can add more carbs to it, add more fat, use less protein, etc. And that makes it very powerful for hypothyroid patients. That doesn't mean it's right for everyone, but it's a great starting place. The elimination diet can be VERY powerful especially if you find yourself reacting to multiple different food groups (10). The idea is that sensitivities and reactions to certain food groups can cause inflammation and result in weight loss resistance and a multitude of other negative side effects. By removing these inflammatory foods from your diet you allow your body to "cool" off and put it into a state where weight loss is possible. 1) By testing your blood with a delayed IgG food sensitivity test and then proceeding to remove the foods you react to. 2) By systematically removing the most common food allergens. If you choose to eliminate foods without testing then you simply reintroduce food groups back 1 at a time after 90-120 days and see how your body reacts. Based on my practice I think either option can work depending on the person and how badly they are reacting. For more complex patient cases I prefer to order the test FIRST, but in other patients, it's generally ok to start with the systematic elimination of certain foods. ​Should hypothyroid patients use the Elimination Diet? ​Just like the other diets listed above, the elimination diet shouldn't be used for EVERY patient. If you fall into any of these categories then the elimination diet may be a good place to start. You can see some studies in elimination diets based on serum testing for IgG antibodies helping patients with asthma control their symptoms here (11). 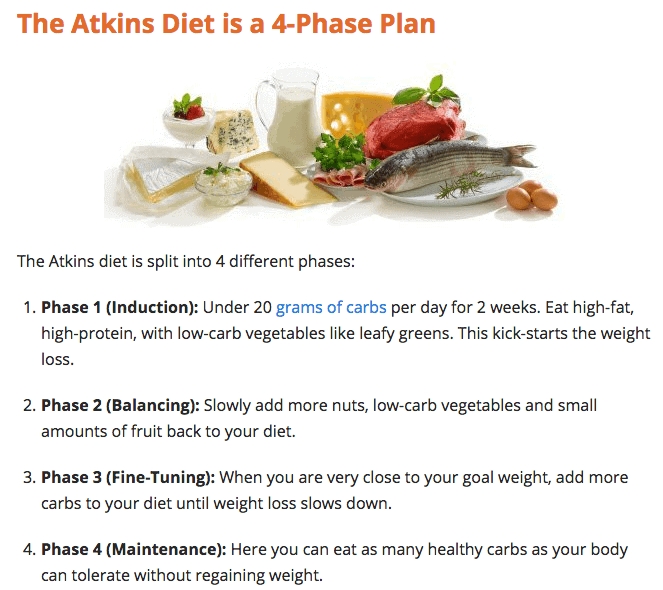 ​When people look into diets they are generally looking for a complete step-by-step guide to help them. In the case of hypothyroidism, it's not quite that easy, but you can use some general guidelines to help. While there aren't certain foods that will help reverse your disease or improve your thyroid function by themselves, certain foods can help your body function properly and indirectly affect these elements. Let's say you eat a diet filled with inflammatory fats that are nutritionally depleted, or that you completely avoid fruits and vegetables. Eating this type of food you may become zinc deficient (12) which may reduce your T4 to T3 conversion (13), this diet may also cause inflammation and further reduce T4 to T3 conversion. Now imagine this on a larger scale and over multiple nutrient deficiencies. This is how many patients start to feel REALLY poorly on the standard American diet. For a full list of nutrient deficiencies that may make thyroid function worse please see this post. While there aren't certain foods you should be eating there are some guidelines you can follow to help reduce and prevent nutrient deficiencies that can lead to poor thyroid function. Add more healthy fats into your diet: Coconut oil, avocados, olive oil, olives, etc. ​Making these small changes can have a HUGE impact on your overall health and thyroid function and they aren't VERY hard to make. Why are certain foods bad for your thyroid? Certain types of food promote inflammation either because you have a sensitivity to them or because they are highly processed. The point here is that poor quality foods will promote high levels of inflammation (14) which has been shown to lower T4 to T3 conversion and may, therefore, decrease thyroid function. In addition, inflammatory foods also damage your intestinal tract causing inflammation and a further reduction in thyroid function (15). Your intestinal tract is where all of the nutrients that you consume must be absorbed. Small damage to the intestinal lining may promote nutrient deficiencies and lead to worsening thyroid function in a vicious cycle. Refined and added sugars - That means looking at the ingredient label for "added sugars"
​None of these should really come as a shock to you, and it might surprise you just how many of you "think" you are eating healthy but you really aren't. As a quick check just see how many of the "approved" foods you consume and how many of the "foods to avoid" you are actually consuming. If you spent the time to read through this and you are serious about improving your health then consider these guidelines as a line you shouldn't cross. Changing your diet is only part of the weight loss equation if you have hypothyroidism. So what else do you need to know to lose weight? It's worth spending a few minutes on this topic because weight loss with Hypothyroidism can be very tricky if it isn't approached correctly. Hypothyroid patients are more likely to have certain hormone imbalances that can make weight loss VERY difficult and almost impossible if you don't find someone to treat and address these imbalances. For weight loss, I generally recommend starting with a paleo-esque type of diet and changing the number of fats/carbs your body needs to promote weight loss but still maintain energy levels. For most patients this, begins around 20-40% of carbs as calories in your diet. You can then adjust your carbohydrates based on your energy and activity level. The more active you are the more carbohydrates you will probably need to consume. ​When it comes to hypothyroidism the majority of weight gain comes from hormone imbalances. And I'm NOT talking about your thyroid. And unfortunately, once you replace the lost thyroid hormone these other imbalances don't always self-correct. In addition weight gain from hypothyroidism usually only amounts to an extra 10-15 pounds of weight gain. Which means finding a doctor to help correct these hormone imbalances is critical to losing weight. We can't have a discussion about weight loss without mentioning thyroid medication. Because so many patients out there are being undertreated, under medicated or treated with the wrong type of thyroid medication. ​If you are deficient in thyroid hormone and it isn't being replaced correctly your metabolism will REMAIN slow and that will promote weight GAIN, not weight loss. And before you tell me your labs are "normal", I recommend you read this post which shows you why thyroid lab tests are usually inaccurate when testing your "levels". ​Getting on the right medications usually means using medication like Natural desiccated thyroid (Armour thyroid, WP thyroid or Naturethroid) or combinations of T4 only medications + T3 (Like cytomel or liothyronine). I've included stress here because it is often one of the most overlooked lifestyle changes that thyroid patients believe they should make for weight loss. That means it's a great opportunity for you to fix! Managing your stress may help lower cortisol levels, lose weight and decrease symptoms of anxiety and depression (19). Managing your stress includes sleeping for at least 8 hours per night. ​One of my favorite ways to reduce stress and calm down the mind is by using guided meditation. The use of certain tones can influence brain wave activity and seriously calm down the body. To get the benefits simply listen to them and follow the prompts. You can do it right before bed or multiple times throughout the day. Lastly, you will also want to make sure you are taking the right supplements to help manage your thyroid. Using supplements directed at the right place can produce dramatic results. Supplements should always be used with other therapies to increase their relative effectiveness. I do not recommend the use of supplements without both diet and lifestyle changes! You can learn more about supplementing to boost thyroid production here. Just remember that these are resources that you can use, but it still requires you to use the information I've listed above to help guide you. Remember that diet is something in YOUR control and you should take full advantage of that fact. Diet is a critical part of weight loss in patients with hypothyroidism. Not only can it help you lose weight, it can also help improve your energy levels and boost thyroid function. There is no "perfect" diet for hypothyroid patients, instead, there are several diets that MAY be beneficial depending on the medical conditions that YOU have. If you aren't sure where to start, or you are overwhelmed with all the information then consider making small changes at first like eating organic real whole foods and avoiding sugar/carbs/grains/etc. ​Be mindful while making changes to your diet and keep track of how you are feeling and what you notice with different food groups. Another great place to start is with the paleo diet. You can adjust up or down the number of carbs you need based on your symptoms. If you are interested in weight loss don't forget that diet alone is usually not enough. Instead, you need to focus on a combination of managing your thyroid medication, hormone imbalances, nutrient deficiencies and stress levels. Has your diet helped you feel better or lose weight? Which diets have you tried and which worked the best?